Take your wedding experience straight into the stratosphere with your own private fireworks display! 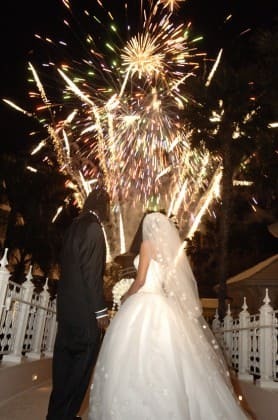 A private fireworks display is one of the unique touches that a bride and groom can add to their wedding that is sure to amaze guests and create a memory to last a lifetime. 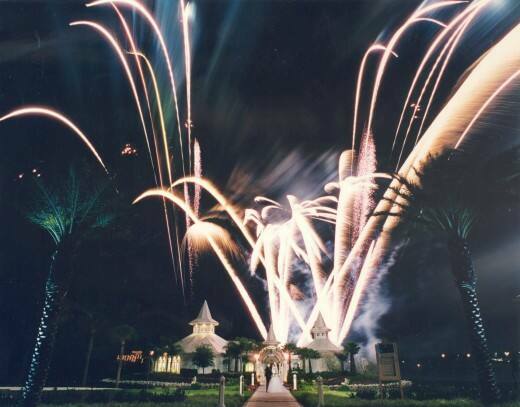 Private fireworks can enhance a ceremony at Disney's Wedding Pavilion and will add real sparkle to your wedding. Imagine walking across the Wedding Pavilion Bridge to greet your guests while multicolored fireworks paint a backdrop over the Seven Seas Lagoon!